Simple instructions included. 25 sheets each - 5-7/8" square. Non-toxic colors. English and French packaging/instructions. 14 exciting projects (instructions included). 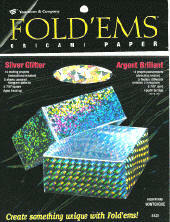 5 sheets of assorted hologram patterns. 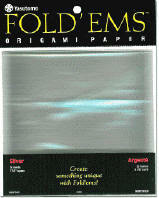 5-7/8" square, ages 6 and up. English and French packaging/instructions. 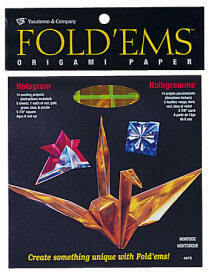 This package of origami comes with a Hologram Assortment of 5 sheets of 5-7/8" square paper. There are 5 colors: 1 each of red, gold, green, blue and purple. 14 Exciting projects (instructions included).